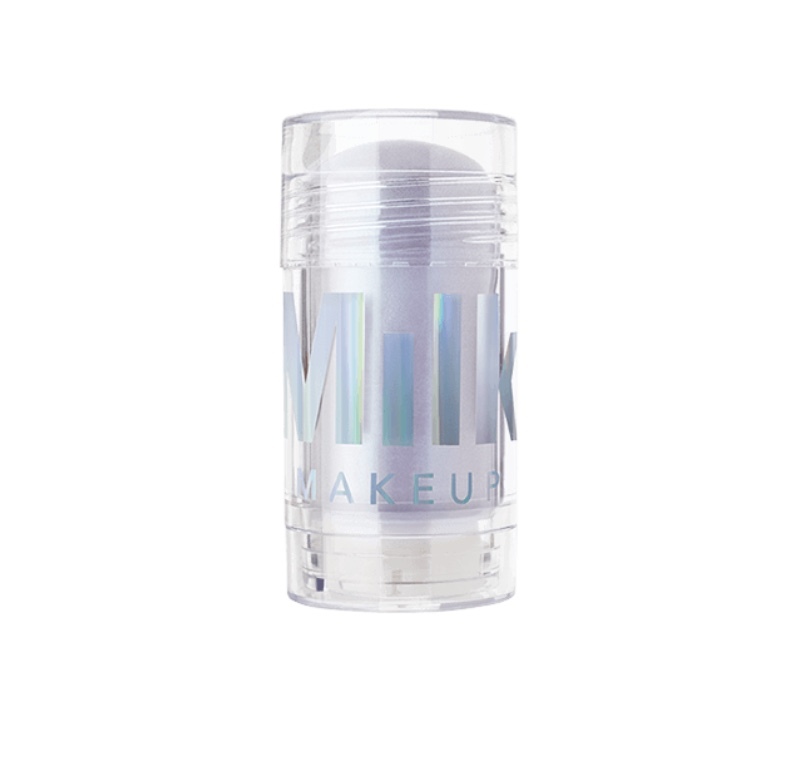 Join The Milk Makeup Experience! The Ultimate Holiday Dinner Party with Cost Plus World Market! Coffee Lovers, Say Good Morning to Your New Best Friend! 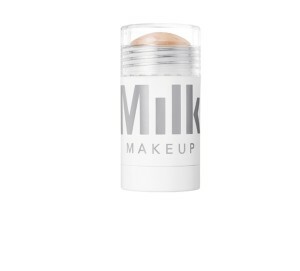 Chances are, if you’ve stepped foot into an Urban Outfitters or Sephora lately, you’ve heard of Milk Makeup. Every time I walk into Urban and see that inciting packaging, it makes me want to buy their products just to look at them all day. Not to mention, they’re a cruelty-free company so it gives me even more butterflies inside. So finally, after “oo-ing” and “aw-ing” for far too long, I got their “Meet The Fam Set”. 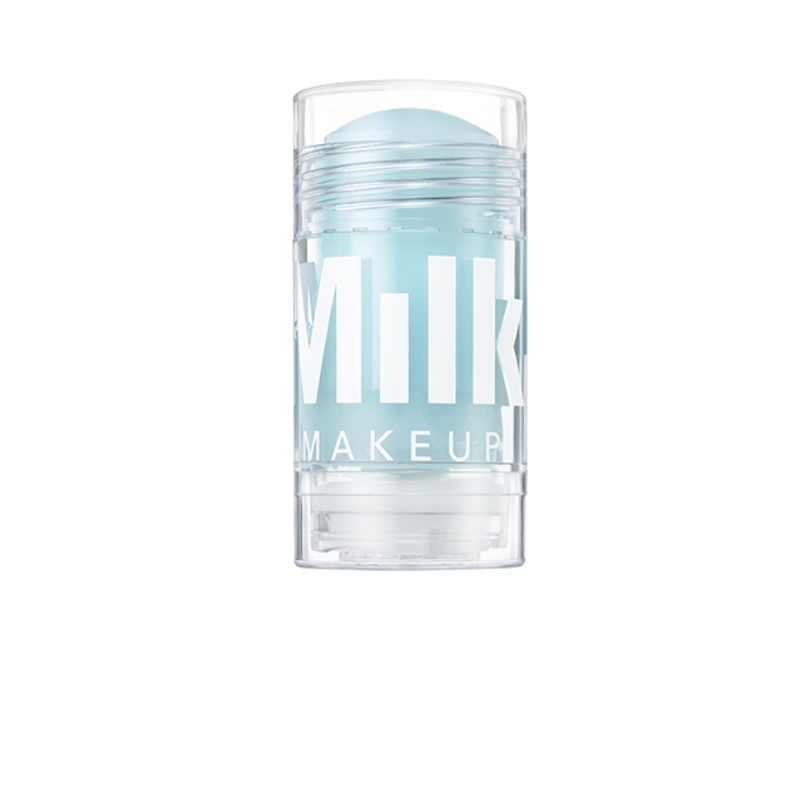 It comes with some of Milk’s best sellers like Kush Mascara, Cooling Water Under-Eye De-Puffer (hallelujah, the bag’s under my eyes are crazy), Watermelon Brightening Serum, the ever coveted Blur Stick, a Lip + Cheek tint, and two highlighters. Not to mention it comes in this super cute see-through makeup bag (to show off that delicious packaging). 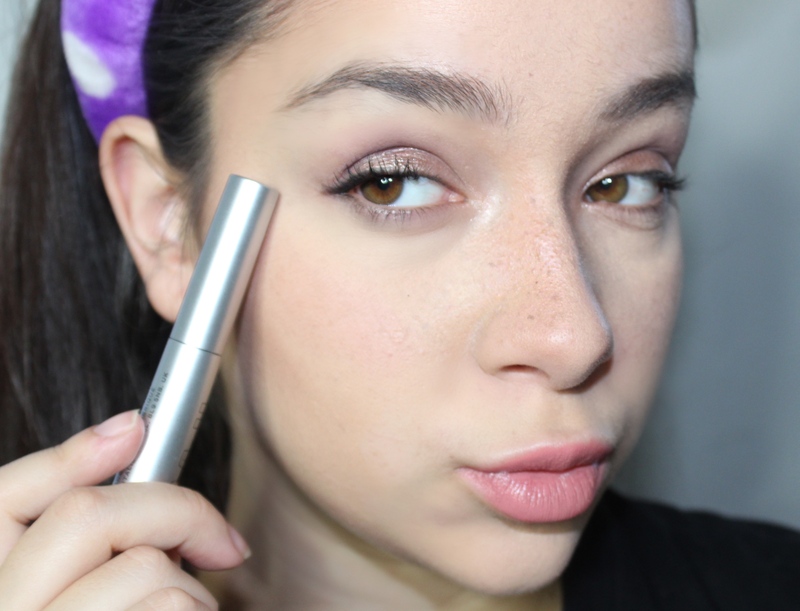 First off, I was really excited to try the Cooling Water Under-Eye De-Puffer. I have the worst under eye bags when I wake up (especially if I eat something salty the night before). I’ve been on a hunt for years to find a quick fix for my bad habits. I think I’ve found her. Not only did it get my bags down within a few minutes, the cooling sensation is so nice and refreshing in the morning. It really wakes you up and that blue color is so visually satisfying, I was a happy girl. I paired that with the Watermelon Brightening Serum to help my dry New York winter skin look a little more alive. Again, the cooling sensation was to die for and after a couple of minutes, my skin came back from the dead! I let those two products sit for a while before picking up the ever talked about Blur Stick primer. 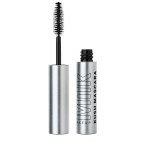 I was SO excited to try it and it didn’t disappoint, the product went on like butter. 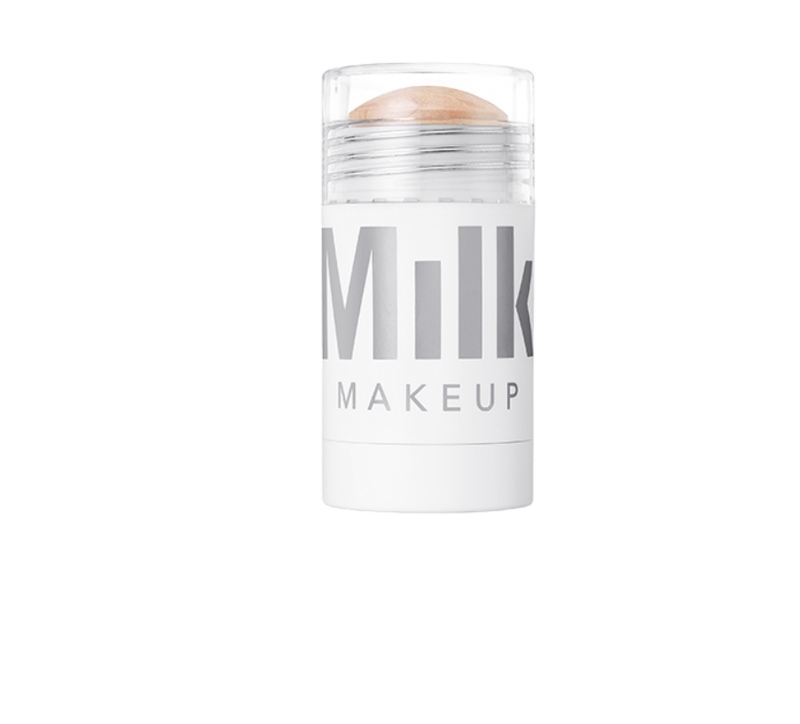 It didn’t hide my pimples or cover scars, but it smoothed out my skin and gave me a perfect base to start my makeup on without being cakey or thick. This is what my skin looked like after using those three products. 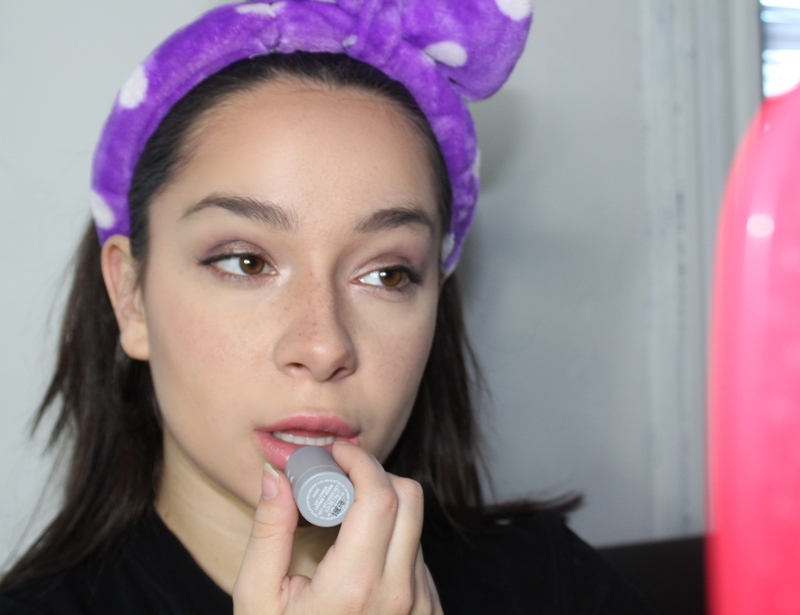 Next up, the Lip + Cheek tint in “Werk”. I am SUCH a sucker for two in one products. Seriously, I’ll use cream blush as eyeshadow and lip tint any day of the week. So, when you have a product actually designed for those things, I’m all in. The color “Werk” is a dusty rose with a bit of shine to it. As soon as you put it on your skin, it feels so hydrating. At this point, I’m sensing a recurring theme with Milk products, they like to make your skin feel quenched and refreshed. It’s a quality that is already standing out to me. This product contains mango butter and avocado oil so it was no wonder I was feeling ultra-hydrated. Not only was the feeling amazing, but the color went smooth and was easy to move. I dotted each cheek twice and used my fingers to create a natural looking flush and only had to swipe my lips once to give them color. Even though the Lip + Cheek tint had a bit of a shine to it, I was really looking forward to using their Highlighter in “Lit”. Highlighter has become one of my favorite products and I already have a few top favorites, so I was curious to see how this one would do in the running. Within one swipe, I was hooked. A lot of times with cream highlighters, either it takes some time to get the exact highlight you want because the product is a bit stubborn or it’s way too much. “Lit” hit the perfect middle ground for me. I don’t want to look like I’m wearing highlighter, I want to look like my skin is dewey and glowing and that’s exactly what this product did for me. Not to mention, the champagne tones of this is so complimentary along with the “Werk” tint underneath and just like “Werk”, this is also multipurpose. 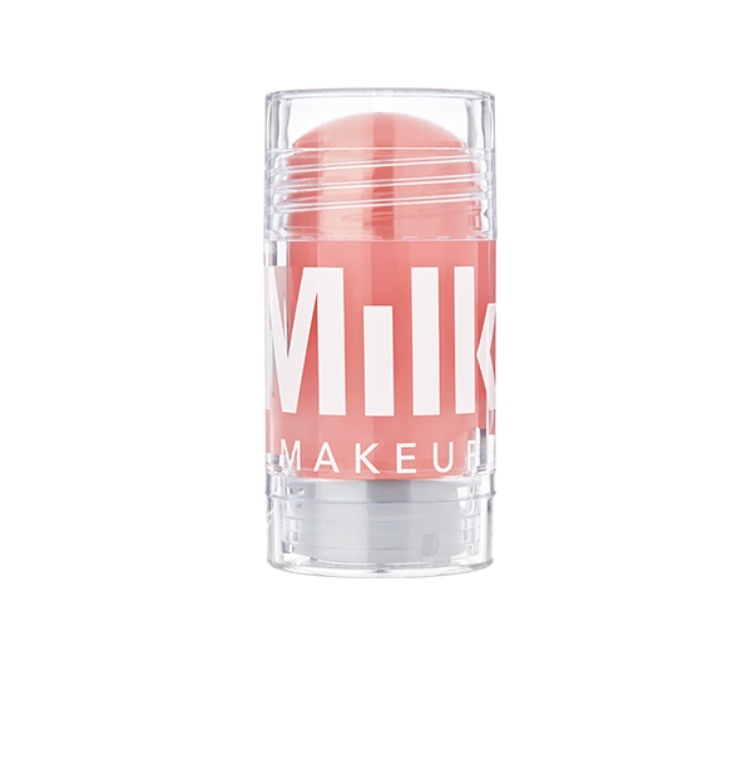 You can use it on your lips, eyes, and cheeks. 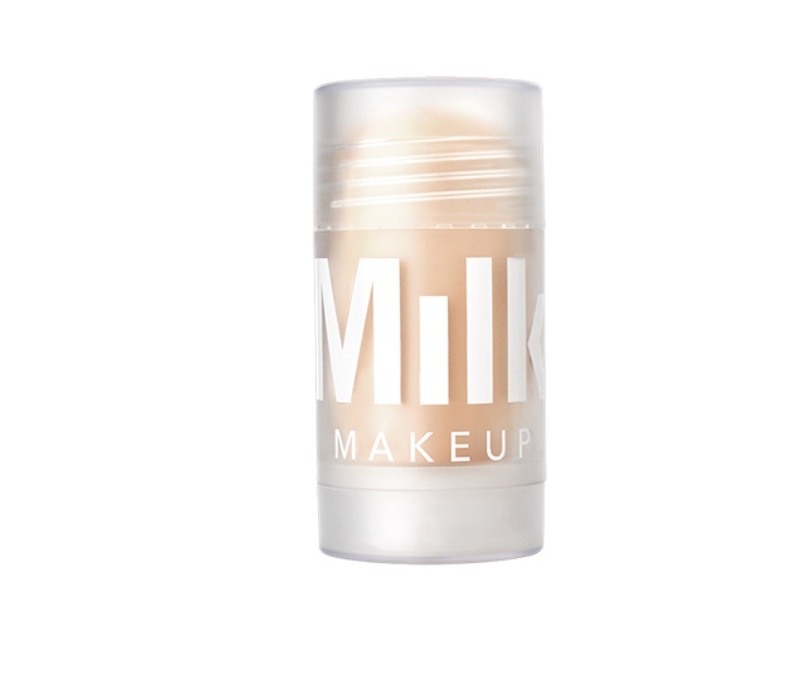 Lastly, this is a great build up product so if you’re going out and want that highlight just use a couple more swipes or opt for Milk’s holographic highlighters. 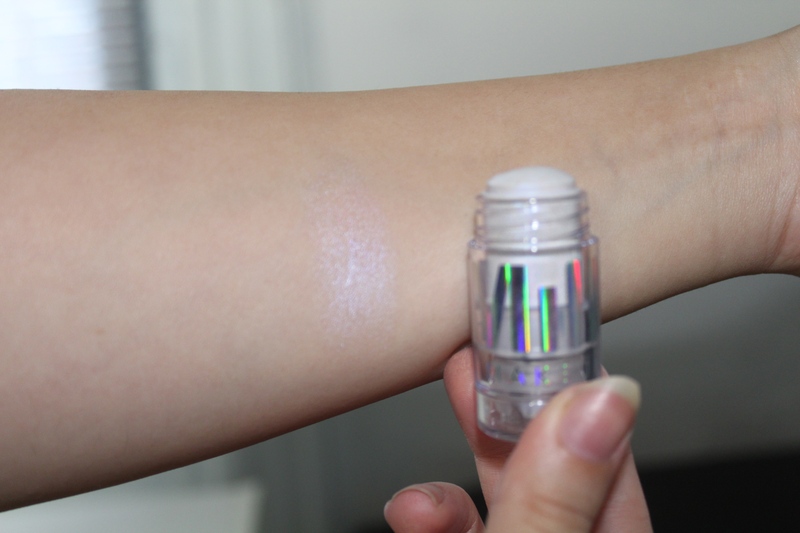 Speaking of holographic highlighters (see what I did there? Segway.) I was PUMPED to try out the holographic highlighter in “Supernova”. But, since I was getting ready for a family road trip I thought I’d just swatch the product. Let me tell you, I will be wearing this highlighter for every event from now until the end of time. 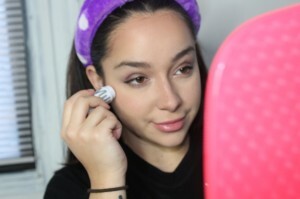 It is a lavender toned highlighter and it really has that wow factor. Goes on just a smooth as “Lit” but packs a bigger punch. If you wear this out, be prepared for everyone to be asking you about it. “Supernova” was my absolute favorite product of the “Meet the Fam Set”. 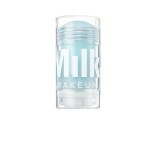 It was also my favorite packaged product, look at the holographic “Milk” lettering- so cute! To finish the look, I used Milk’s Kush Mascara. On their website, Milk promises a clump free eyelash, and clumps are my absolute biggest pet peeve in makeup. 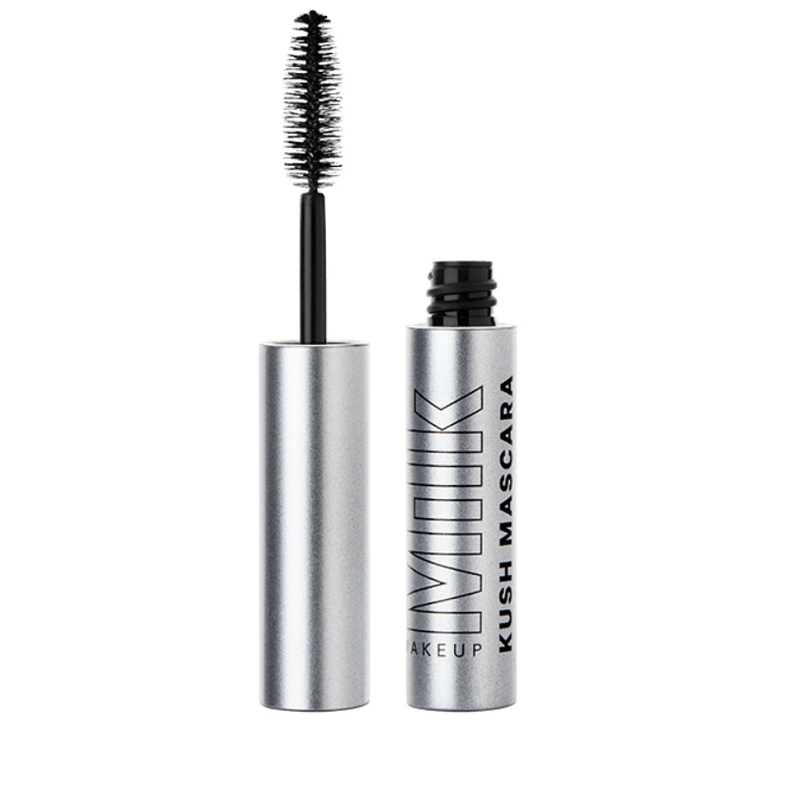 With the mascara I usually use, I get clumps a lot but usually excuse it because I like the mascara itself so much. After today, that mascara will be thrown away. As you can see in the picture, not only are my lashes looking full, long and practically curled after two swipes of the wand, there really were no clumps. I’ll just let the picture speak for itself on this one. Overall, I was so happy to learn that Milk is not just about presentation. Their impeccable packaging matches the quality of their products and to speak even more on that, my makeup survived an entire road trip (even the lip tint survived me eating a chicken sandwich on a bagel!) 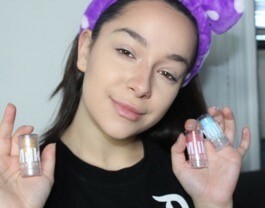 And for almost every product, one or two swipes were more than enough to work with meaning these products (even in their cute mini stature) will last a long time! 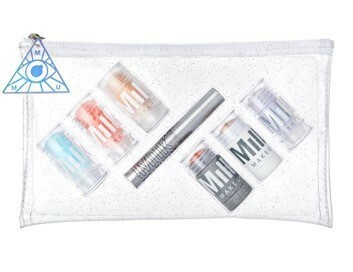 My top picks are for sure the Under-Eye De-Puffer, Watermelon Brightening Serum, and Holographic Highlighter in “Supernova”. 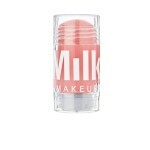 Make sure to visit Milk Makeup and make a quick stop at Couponology.com to use our 10% off code!